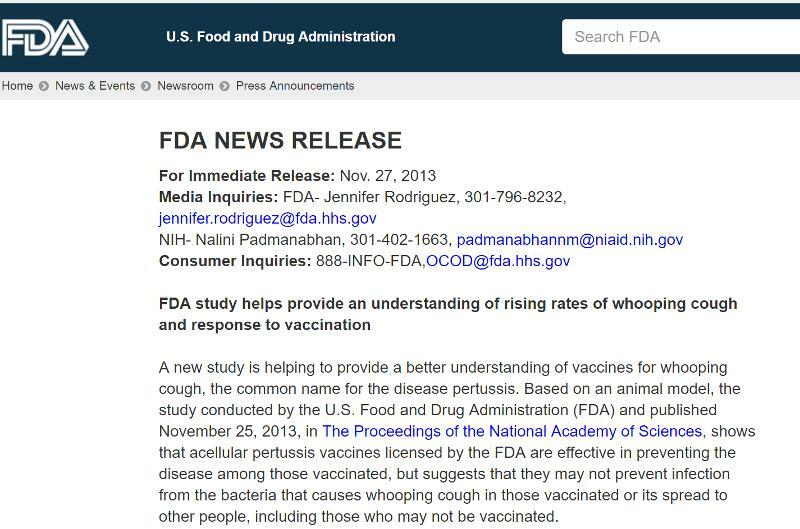 THIS FDA PRESS RELEASE WAS REMOVED IN 2013. Seeing as today is Autism Awareness Day, I thought it would be an opportune time to publish a post by my close friend, Dr. Michael J. Goldberg, MD - a Los Angeles-based pediatrician who specializes in treating children mistakenly diagnosed with Autism. 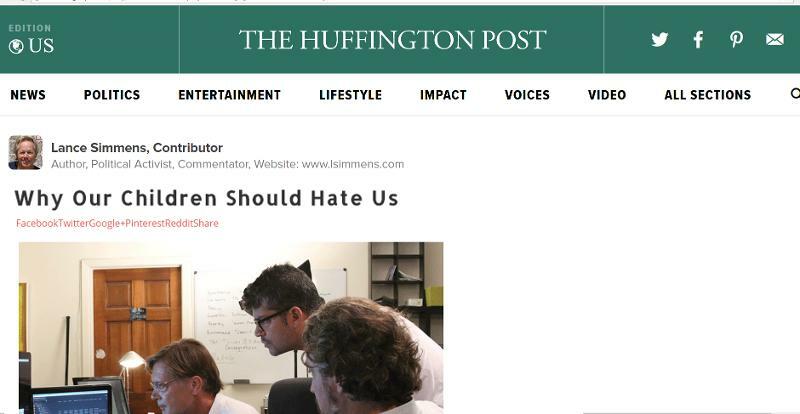 His findings run counter to the mainstream views of the American Medical Association and society as a whole, and are so novel that I offered to publish something on the Huffington Post on his behalf. Below please find a blog post written entirely byDr. Michael J. Goldberg, MD. Phenotype: A collection of symptoms that reflects how a disease or illness presents, yet does not tell you the cause of the disease. Epidemic: The outbreak of a disease, that spreads quickly and affects many individuals at the same time. Autism Spectrum Disorder (ASD): The expanding psychological label assigned to a collection of behaviors and/or mannerisms exhibited in more than 2% (1:48) of children. Tens of thousands families now have children psychiatrically “labeled” as Autistic / PDD, ADD, ADHD, OCD and now even CDD (Childhood Disintegrative Disorder). Psychiatric and Developmental disorders like this have reached epidemic levels in children: Autism alone is now 1:48 (2.1%) and rising. Polio, at its worse, was 1:1500 (.07%) children. Basic medical science teaches there cannot be an epidemic of a developmental or genetic disorder. The assumption that ASD behaviors and mannerisms of 2.1% of our children (and climbing) is the result of a mental condition is scientifically untenable. When analyzed from a medical perspective, the presenting dysfunctions/symptoms of most of these children can be explained far more appropriately by the concept of a ‘Phenotype’, that is part of a complex immune, complex viral disease presenting with secondary “Autistic, ADHD, OCD, Anxiety or ODD” symptoms. As a practicing pediatrician I have devoted the last 25 years working with ASD labeled children. I have identified through years of observation, blood tests and brain scans, an understandable Phenotype of a medical disease process (complex immune, complex viral), that logically and scientifically explains the mixed collection of symptoms manifested in ASD children including: Chronic “ill” appearance, abnormal sleep patterns, chronic allergies, fine motor issues, coordination issues, hypo/hyper profusion in the temporal and frontal lobes of the brain, and abnormally elevated viral titers including HHV6, Epstein Barr, and CMV. These and other markers, in my professional opinion, are indicative of a medically treatable disease process and not a psychological and/or developmental dysfunction. When this disease and it’s secondary symptoms identified above are medically treated with FDA approved meds and diet modifications, approximately 75% of my parents report the behaviors and mannerisms of the ASD labeled Phenotype either disappear or significantly abate. The parents and therapists report “it is as though a fog has lifted” or “this is not the same child”. These children are placed in a position to be taught, not trained. They can and do learn; they progress, complete their education (some through college) and become productive members of society. A sense of “Normalcy” is returned to the family. Two different retrospective reviews have confirmed an over 75% clinical success rate with medical treatment!! This success rate is possible and expected because these children suffer from an underlying medical disease and not a mental or developmental disorder. A developmental disorder would not respond, could not respond to antiviral and other medical therapies. Talking recently with an ex-Los Angeles County public health official, he was completely baffled when asked if he had he ever studied anything 1:50 (not 1:1000, 1:5000, or less), anything 2% of the population - and there was no answer. The silence was deafening. Nothing of this magnitude had been looked at in any past training, because it was beyond comprehension. We have 2% of children being affected, and it is not considered a public health crisis – IMPOSSIBLE. To the reader I ask: If an ASD rate of 1:48 (2.1%) is not alarming today, how about 1:20 (5%) in five years or 1:5 (20%) in 10 years or 1:1 (100%) in 20 years? To deny that we are in the midst of a true medical worldwide pandemic is unconscionable. Science does not change; it can be ignored, or twisted to fit a popular mindset, but science does not change: you cannot have an epidemic without an underlying disease process. The current diagnostic mistakes are so obvious and go against basic medical and psychiatric principals. In a recent interview I emphasized that, historically, “autism” was a diagnosis of exclusion. If there was no medical or organic explanation for the child’s problem then a psychiatric referral was appropriate. Children today are labeled “Autistic” or “GDD” (Global Developmental Delay) without an appropriate full medical work up to discover any underlying etiologies/medical causation related to the symptoms described above. In the past, (40 – 70 years ago) this would have been impossible and scientifically incompatible. GDD used to imply an organic underlying medical issue with a child. Today, when a GDD/ ASD labeled child is overcome by “sensory” issues, that child’s obvious medical and physical suffering is currently ignored and left medically untreated. That our present system fails to medically investigate the reasons for that suffering (i.e. complex immune-complex viral) does not give them the right to abandon the child and condemn them to a life of no hope with a psychiatric label of Autism. In my professional and clinically observed opinion, ideas of “Autism” as a permanent, unfixable mental condition/disorder is mistaken. If ASD were approached as the epidemic/pandemic that it is - much like Polio 1:1500 (.07%) of the 1950s - then medical pediatricians and specialists can and would begin to treat this disease. Medical treatment would help mitigate or even eliminate ASD symptoms/behaviors, and provide real relief for children and their families. We would begin talking about treatment and potential recovery - not long term care: an impossible burden for families, the medical system, our society. 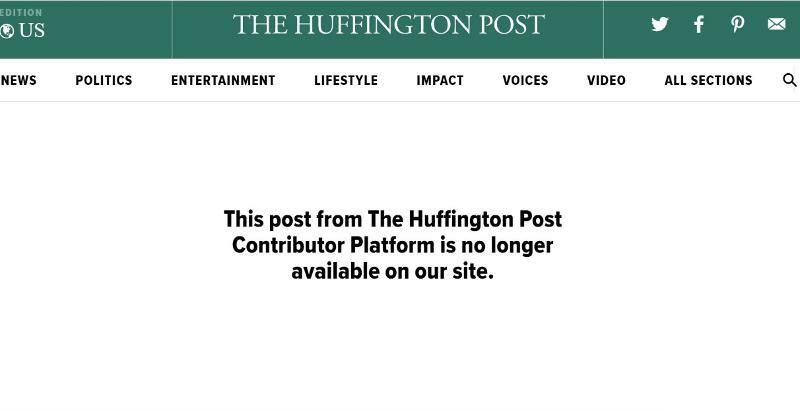 This post appeared for a few hours on The Huffington (Censored) Post. 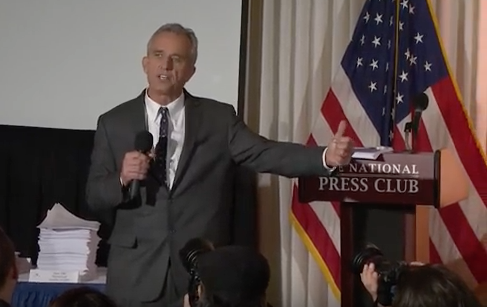 News that President Trump may tap Robert Kennedy Jr. to head a commission on vaccine safety has not been well-received by the media. Kennedy is a “conspiracy theorist” wrote the Washington Post; he’s an “Anti-Vaccine Activist” blared the New York Times, which condemned “Kennedy and his fellow travelers”; and on it went. Kennedy is a leading environmentalist. He’s also the son of the former attorney general and senator, Robert Kennedy; and nephew of former President John F. Kennedy. Having followed his work for years, I had a difficult time believing he could be on point on so many issues, and completely off-base about vaccines, as media reports suggest. So I looked into it. I read a 2014 book Kennedy edited on thimerosal, a mercury-based preservative used in some vaccines. I also read his critics. And here’s my non-medical-expert opinion: the media should stop the name-calling. For starters, it’s a stretch to accuse Kennedy of being anti-vaccine. I had all six of my children vaccinated. I believe that vaccines have saved the lives of hundreds of millions of humans over the past century and that broad vaccine coverage is critical to public health. But I want our vaccines to be as safe as possible. This begs the question: What’s the definition of this term, “anti-vaccine”? If you question any aspect of any vaccine should you be stuck with this label? “If patients have concerns, doubts, or suspicions — for example, about the safety of vaccines, this does not mean they are ‘anti-vaccine,’” writes Peter Doshi, associate editor of the British Medical Journal. The label (or its derogatory derivative “anti-vaxxer”) is a form of attack. It stigmatizes the mere act of even asking an open question about what is known and unknown about the safety of vaccines. Multi-dose vaccines, which are less costly to produce and store than single-dose vaccines, require a preservative to keep them sterile. The preservative protects the batch from being contaminated when a syringe is inserted to remove each dose. For years, thimerosal has been one of the most common vaccine preservatives, although alternatives are increasing (at least in the U.S. – in the developing world vaccines still regularly contain thimerosal). In the heavily-footnoted Thimerosal, Kennedy calls the preservative “a dangerous neurotoxin” due to its mercury content. 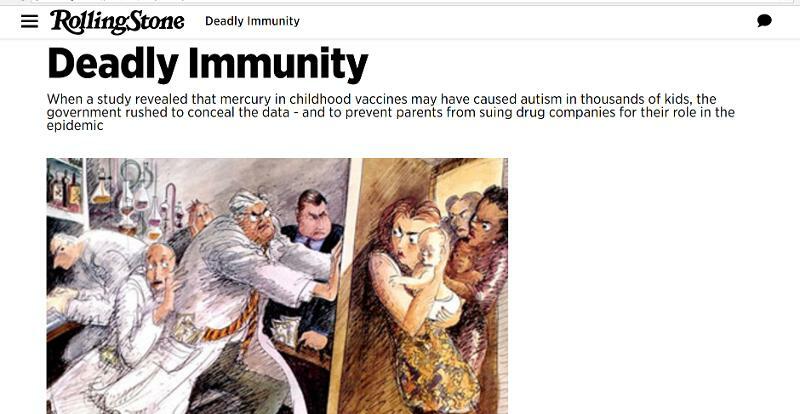 Thimerosal has already been removed from U.S. childhood vaccines, except in trace amounts. The removal followed a joint 1999 statement from the American Academy of Pediatrics and the Public Health Service, which includes, among other federal agencies, the FDA and the Centers for Disease Control. The joint statement recommended thimerosal’s removal, but stated its risk, while unknown, was likely slim-to-none. 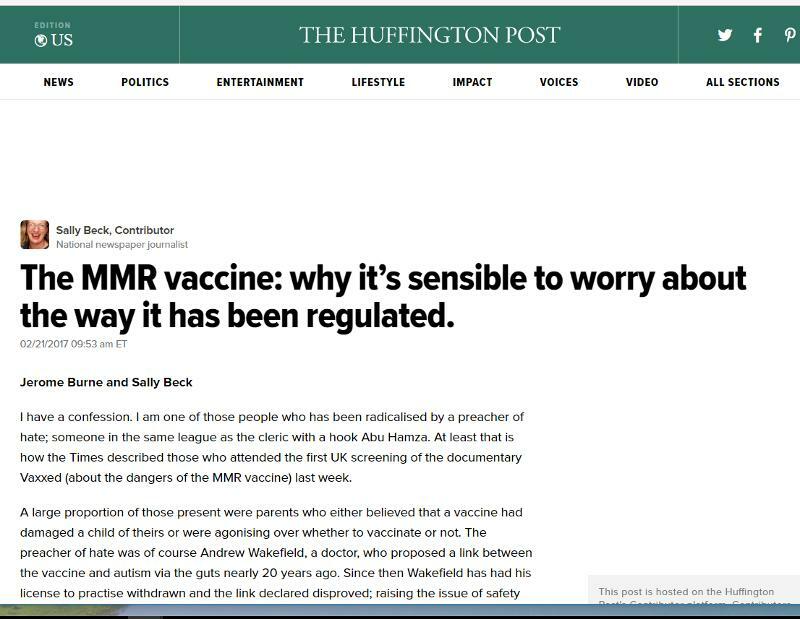 Subsequently, numerous public health bodies, including the FDA and CDC, have reaffirmedthimerosal’s safety. While no longer in childhood vaccines, thimerosal is still found in some flu vaccines. This flu season, upwards of 35 million doses of the flu vaccine contained thimerosal. The CDC recommends an annual flu shot for anyone over the age of six months, including pregnant women. Public health agencies don’t view this as a threat. That doesn’t make him anti-vaccine. It’s time for the media to stop the name-calling. 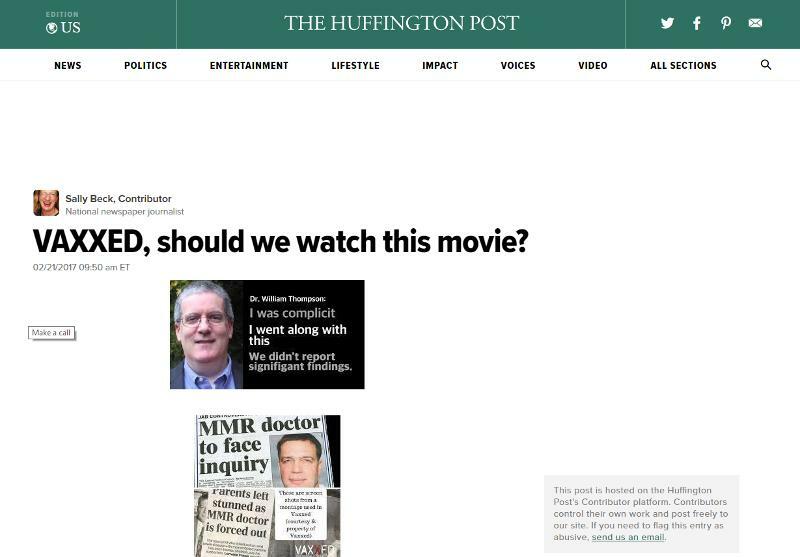 * It’s not a sure thing Kennedy will chair the vaccine commission, if it’s even created. Following Kennedy’s recent, sharp criticism of Trump’s anti-environmental measures, it’s hard to imagine the thin-skinned president appointing him to anything. Oct 16, 2016. 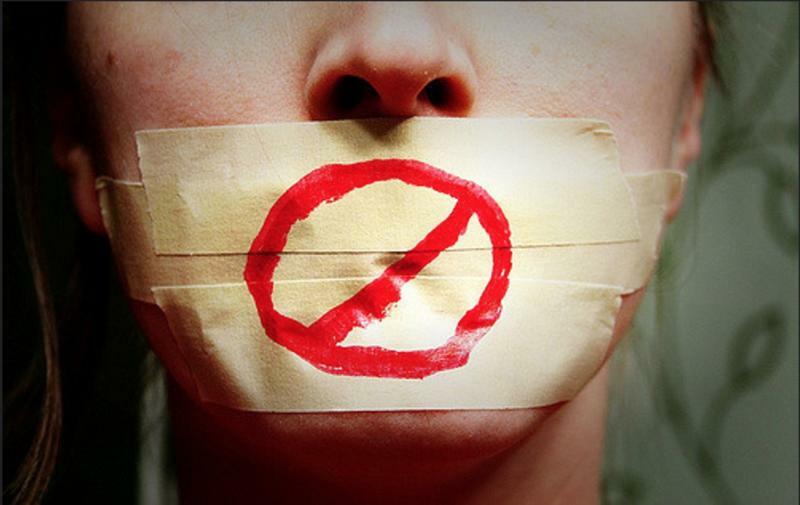 Should Vaccine Critics be Silenced? 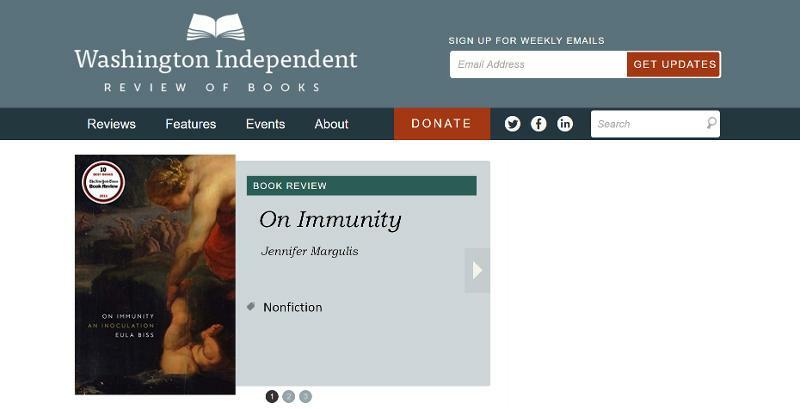 Author: Brian Martin: Intended Outlets: Vaccine, Journal of Public Health Policy. You can also Dr. Martin's full experience here. 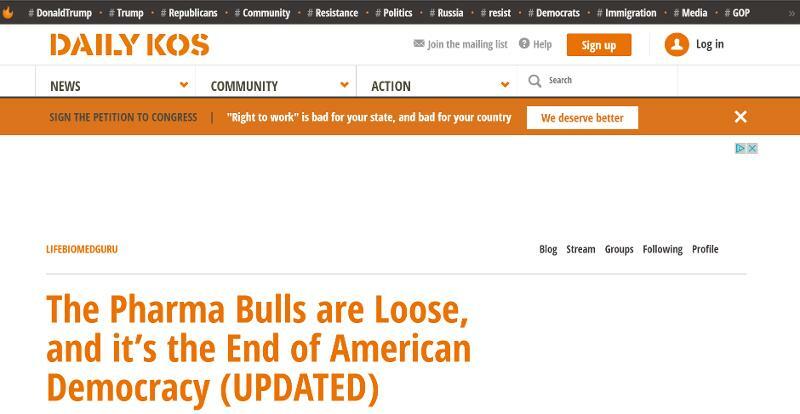 Feb 2014. 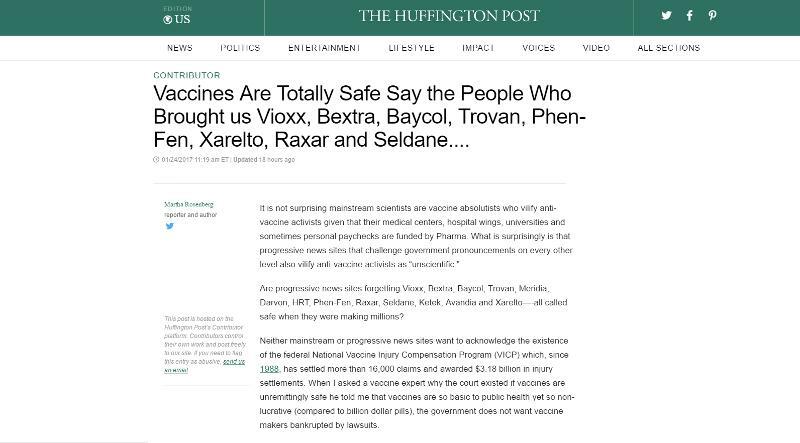 Journalism and Vaccines. Author: Beth Feyba. Original Source: Huffington Post. June 16, 2005. Deadly Immunity. Author: Robert F. Kennedy, Jr. Original Source: Rolling Stone. Have an Article to Suggest?